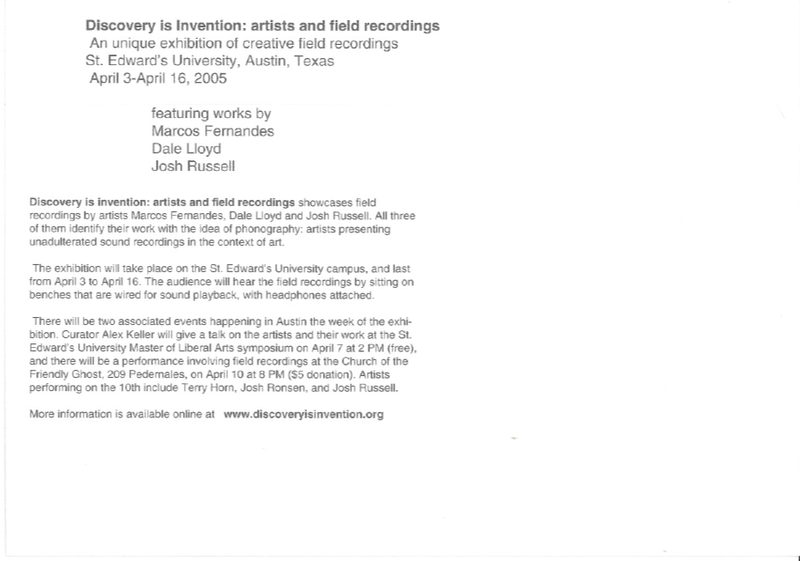 Following is the original press release to Discovery is invention: artists and field recordings. Discovery is invention: artists and field recordings showcases field recordings by artists Marcos Fernandes, Dale Lloyd and Josh Russell. All three of them identify their work with the idea of phonography: artists presenting unadulterated sound recordings in the context of art. The exhibition will take place on the St. Edward’s University campus, and last from April 3 to April 16. The audience will hear the field recordings by sitting on benches that are wired for sound playback, with headphones attached. You can find the exhibits on this map of the campus. There will be two associated events happening in Austin the week of the exhibition. 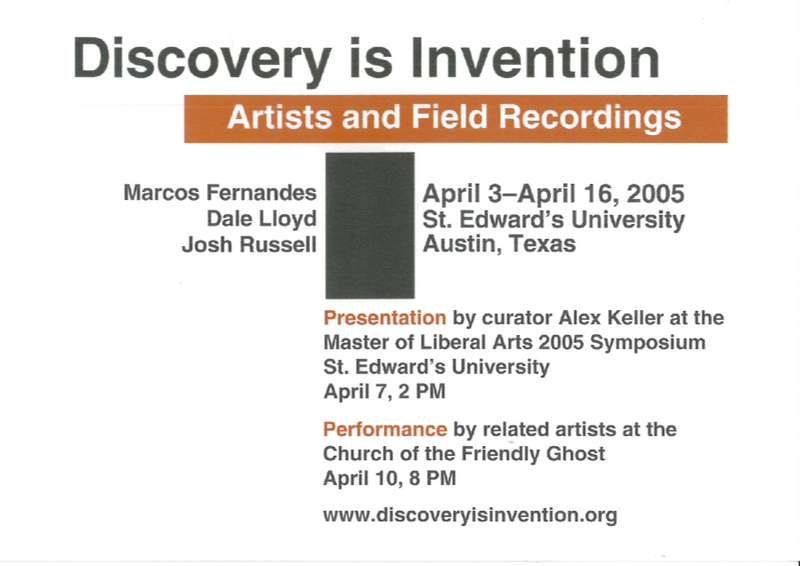 Curator Alex Keller will give a talk on the artists and their work at the St. Edward’s University Master of Liberal Arts symposium on April 7 at 2 PM (free, for the location check this map), and there will be a performance involving field recordings at the Church of the Friendly Ghost, 209 Pedernales, on April 10 at 8 PM ($5 donation). Artists performing on the 10th include Terry Horn, Josh Ronsen, and Josh Russell.